Our focus is on getting this bill reintroduced in the fall 2018 legislative session. Please contact your legislators to request scheduling of Senate Bill 393 in it’s original form on the legislative calendar. 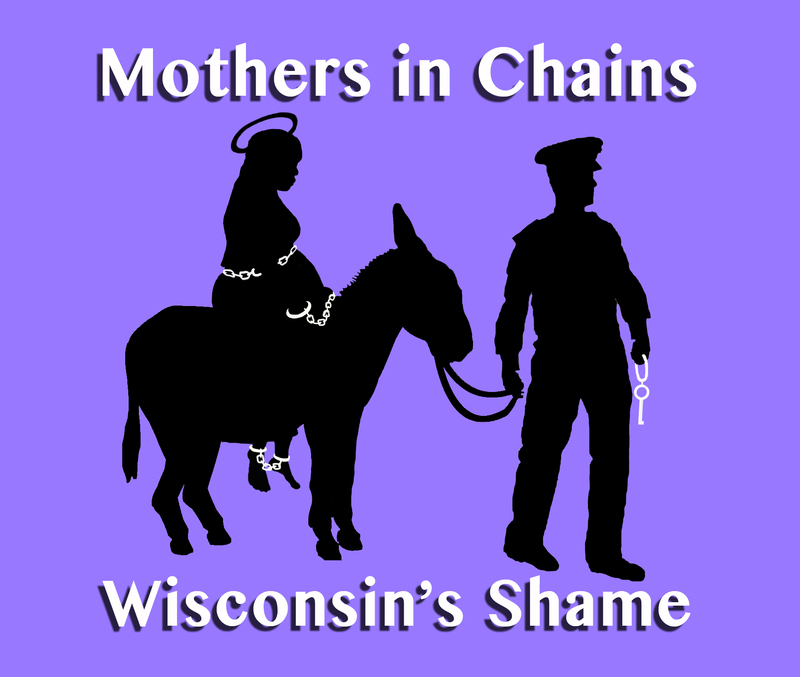 Support WI SB SB393 entitled “The treatment of a pregnant or postpartum person in prison and county jail” introduced by Senator Lena Taylor (D – Milwaukee) , Representative Lisa Subeck (D-Madison) and others in 2017. Sen. Wanggaard (R – Racine) and Rep. Kooyenga (R – Brookfield), are co-sponsoring this bipartisan bill. We urge you to contact your representatives and request they begin the new session by supporting SB 393. Women’s incarceration has been increasing at a rate higher than 50% than men since the 1980’s. This increase is due to stiffer drug sentencing laws, and post-conviction barriers to reentry which have uniquely affected women. (Sentencing Project) This increase in women’s incarceration has meant that there has also been an increase of children born during imprisonment. Our policies have failed to address the physical, psychological and spiritual needs of this vulnerable population. Under this law, a pregnant person in labor may not be restrained unless the restraints are reasonably necessary for the legitimate safety and security needs of the person, correctional staff, or public, and any restraints used must be the least restrictive possible. (Analysis by the Legislative Reference Bureau) Also, this bill eliminates solitary confinement of women who are pregnant, provides prenatal and postnatal education and support, as well as appropriate medical care including mental health services and medication-assisted treatment. Testing for pregnancy followed by the screening of pregnant women for sexually transmitted diseases, including HIV and additional training for personnel are also included. The Religious Leaders Caucus of MOSES believes passing this legislation is an essential step in the direction of providing more humane care and we encourage more research, review and policy change to be implemented in the future to determine best practices on behalf of pregnant and postpartum people who are in the custody of a correctional facility. reducing long-run costs to Medicaid and public services from the early detection and treatment of STIs such as HIV, which can be transmitted from mother to child. The Federal Bureau of Prisons, as well as over 21 states, have taken steps to develop better care for pregnant and postpartum incarcerated women. It is time for Wisconsin to move Forward.